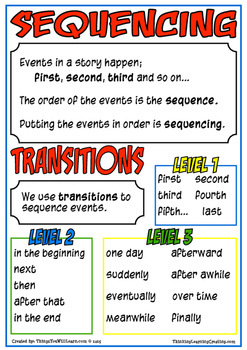 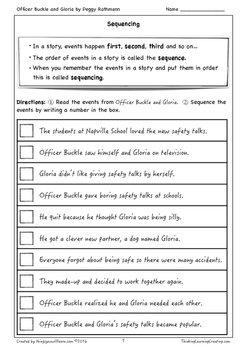 Sentence strips, worksheets and a poster for sequencing and summarizing Officer Buckle and Gloria as published in Houghton Mifflin Reading 2. 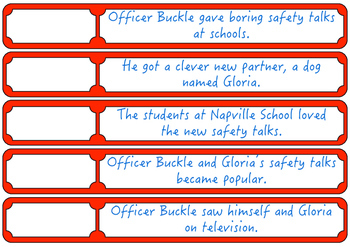 This pack is offered separately but is included in Officer Buckle and Gloria Student Workbook. 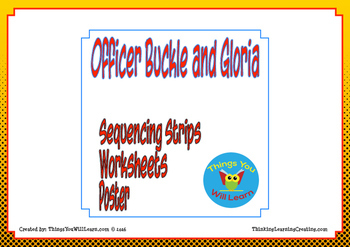 Officer Buckle and Gloria Sequence and Summarize by Michael Allen Kelly is licensed under a Creative Commons Attribution-NonCommercial-NoDerivatives 4.0 International License.